Auditing Active Directory in any environment has become a critical task in the IT department. 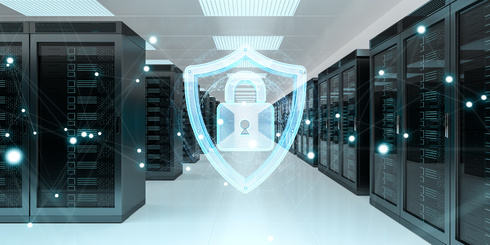 Small and large organizations are using Windows Active Directory Auditing Software to pass compliance tests and overcome security challenges. At the heart of a Windows-based Enterprise Network, the mechanisms used by administrators to organize and control the resources and objects in can Active Directory determine how the structural framework, securities, and database operations take place from authentication to authorization. Therefore, this means that it is important to keep track of all the activities taking place within the Active Directory to make sure network activity is at its best at all times. Netwrix Auditor for Active Directory gives a report of what is going on inside the Active Directory and Group Policy. The software is supposed to audit the changes made to the directory and Logons credentials to reduce the possible risk of abuse, streamline troubleshooting while at the same time enforcing IT Governance and compliance. Netwrix Auditor can be deployed on the premises, on a Windows Server, or on a Virtual Server. The Administrator console, which configures the auditing environment. The Auditor client, which handles the query and reporting tool. Managed Objects – for defining supported applications. AuditArchive – connects to the database providing for the long-term audit storage options. Settings – handles all credentials via SMTP protocols, licenses, and email addresses. All changes made in the Active Directory will be detected and information such as WHO, WHAT, WHEN, and WHERE also form part of the report. Login activities in the critical systems will be reported and all failed and successful attempts will be displayed. The Logon history of any particular user is also available. The current state of users and groups, including properties such as permissions and other common user settings can be compared against a particularly known standard for consistencies. The software will also look at the compliance levels of the Active Directory by testing compliance with set standards. Any changes to the audit policy settings or modifications of the group policy are also displayed. Any risk associated with wrong privilege assessment and management of user account is assessed. This assessment helps in closing security gaps early enough. All the threat patterns are indicated, Netwrix gives you an opportunity to react within minutes of the threat alert. Any malicious attempt from insiders and hacked accounts can be detected early enough to help system administrators take action to save critical systems and cloud applications. Any internet searches within the Active Directory can be customized to look like the one on your preferred browser. Your search history can be saved and retrieved on demand. Low profile threat such as unusual logons such as identity theft can also be reported as a possible threat to the Active Directory. The IT and business users are able to get Active Directory audit reports in the format that they need by sorting, exporting, filtering, drilling, use of web and email subscriptions. By enforcing effective control permissions, streaming access management through reports of who is supposed to access what resource in the network. The format followed in assigning the rights is also indicated. All inactive user accounts are deactivated as the remaining Active Directory users are given password change alerts before expiration. All issues relating security lockouts can be resolved by analyzing data on the report. In an event that there is a system breakdown, Netwrix Auditing Software enables the system to revert to changes made when the system was in an OK state without the need of using a backup. Netwrix Software works in the background and thus, it does not reduce system performance or cause downtime. A managed object is the target (AD objects) Netwrix will audit. Things like the details of the database, the scope of the audit and real-time alert settings should be set up when defining objects, after object definition running a data collection job will help to gather the overall overview of the Active Directory. The Netwrix auditor home page has several icons that offer a one-click access to many tasks. Upon clicking on the relevant test, a table with results will pop up based on the search criteria. Viewing specific audit outcome that answers pertinent security questions like WHO, WHAT, WHEN, and WHERE system administrators should use the search feature for creating custom queries. Netwrix Audit Software runs on top of Windows Server built-in security services. Instead of worrying about how to create queries to generate reports, Netwrix Auditing Software has pre-built reports that cover several aspects of the Active Directory. The good thing about the pre-built reports is that they have been pre-formatted to comply with known industry standards; therefore passing compliance tests with Netwrix is faster and more accurate. The final report can be exported to other formats such as text, PDF, or HTML. Many organizations today find themselves subjected to compliance regulation and testing. Auditing changes in the Active Directory are considered a mandatory as part of the organization’s security strategy. Plenty of tools and packages can help make this work easier with some still facing limitations and others offer a comprehensive outlook when used on a complex network. Netwrix strikes a balance giving almost all the information needed without having to worry too much.